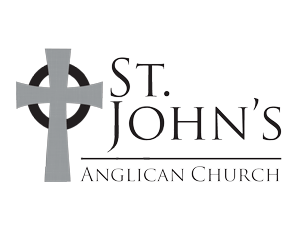 St. John’s Anglican Church is part of an international network of churches known as the Anglican Communion. This network grew out of the missionary expansion of the Church of England over the past 500 years and now consists of 38 self-governing provinces around the world, in 164 countries, with tens of millions of members. In many places, particularly throughout the Global South, the churches of the Anglican Communion are known for their vibrant faith in God and transformational presence within their communities. In 2009, the Anglican Church in North American (ACNA) was born. The ACNA is now becoming the home to many of the Anglican churches on our continent. In June of 2014, the Rt. Rev. Foley Beach was elected the Archbishop of the ACNA. St. John’s joined the ACNA in 2012. We are currently a part of the Anglican Diocese of Pittsburgh under Bishop Jim Hobby. We believe the Nicene Creed provides a faithful outline of the Christian life. This statement was crafted by the Church in the fourth century and serves as the central statement of Christian theology. It reveals the essential elements of our faith, and we confess it together almost every Sunday as part of our services. Please click here for a PDF of the creed in its entirety. The framework of our congregation is Anglican. The basic theology of Anglicanism is summed up in these 39 “Articles of Religion.” They come from the time of the English Reformation, though the following version uses more modern language. For further descriptions of the first six articles and complete descriptions of all 39 articles, please click here.